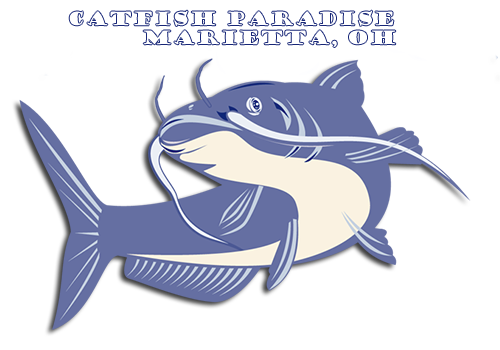 Welcome to Catfish Paradise pay-lake located along scenic State Route 7 just outside of Marietta, OH. We provide a relaxing fishing experience with a well stocked pond and daily contest. Our bait & tackle shop is fully stocked; we carry the best in supplies to guarantee a pleasant trip. The navigation at the top of this page will allow you to look-up directions, contact us and see a calender of events. Please call for a full schedule, we are working on getting the fishing tournament schedule online..
Not enough info? Feel free to contact us by phone during our operating hours or stop in! Click the map for more directions!